Show of hands, are Architecture students reading me today? Hmmmm, I can sense some. Okay then, let’s proceed! 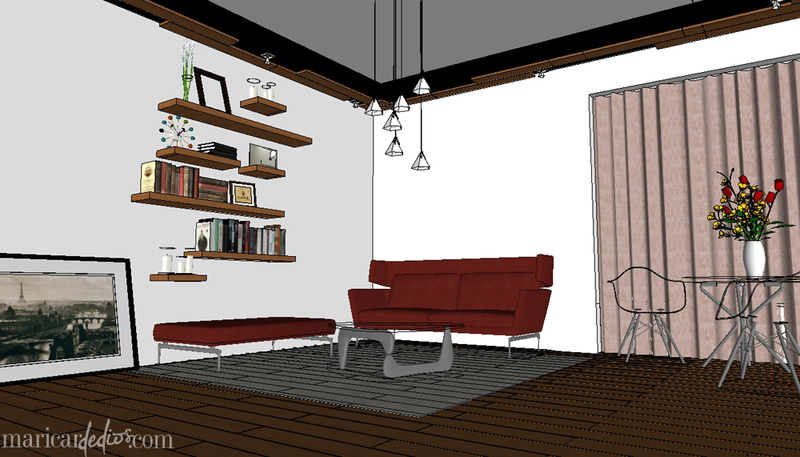 I’m sure most of you know Google SketchUp, unless you use more sophisticated software such as Revit or 3ds Max. I personally don’t know how to use Revit and my 3ds Max skills are getting rusty (although I am planning to rekindle soon!) 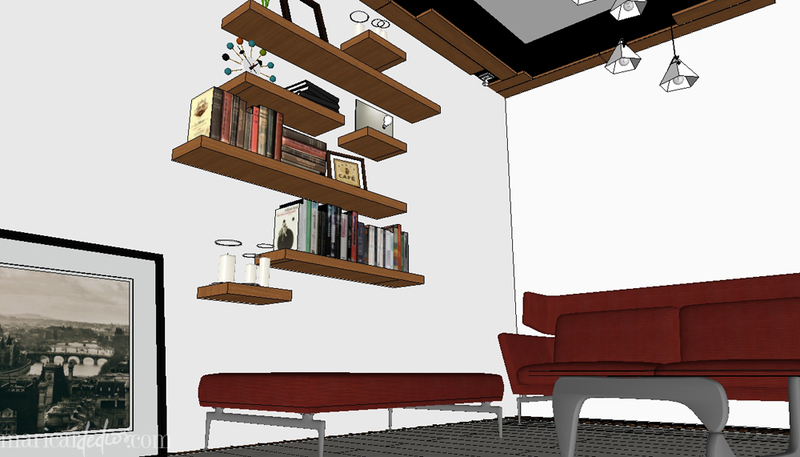 so right now, SketchUp is my way to go. It’s just simpler and easier although a bit limiting for me. When it comes to rendering, I know a few – Twilight – installed but I never really used, Kerkythea – my thesis savior partnered with Photoshop (I have a tutorial here) and Vray – what I am currently loving. 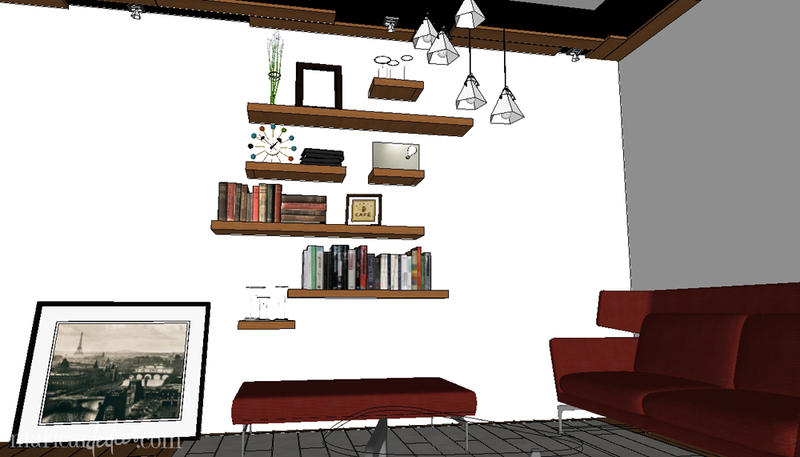 I have blogged about it before and a previous rendering can be seen here. 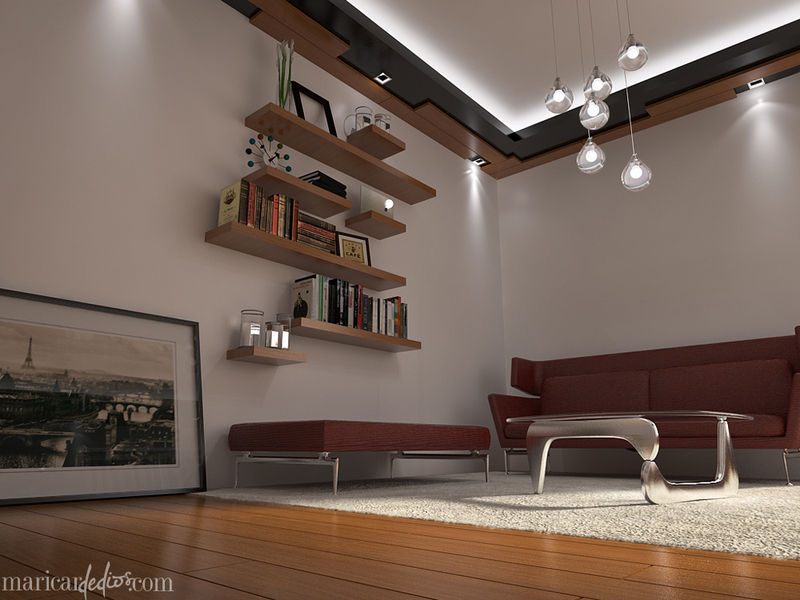 I still think I am a Vray newbie, but thanks to our Vray office tutor, RJ Madrid (Ayun oh, special mention! ), I was able to create already acceptable renderings. Maybe next time I will be able to do my own step-by-step tutorial (when I am already good enough). Right now, let me show the before, in- between and after of an interior I did. Sketchup Jpeg exports look sooo flat. Definitely not something you would show to clients/professors to make an impression. 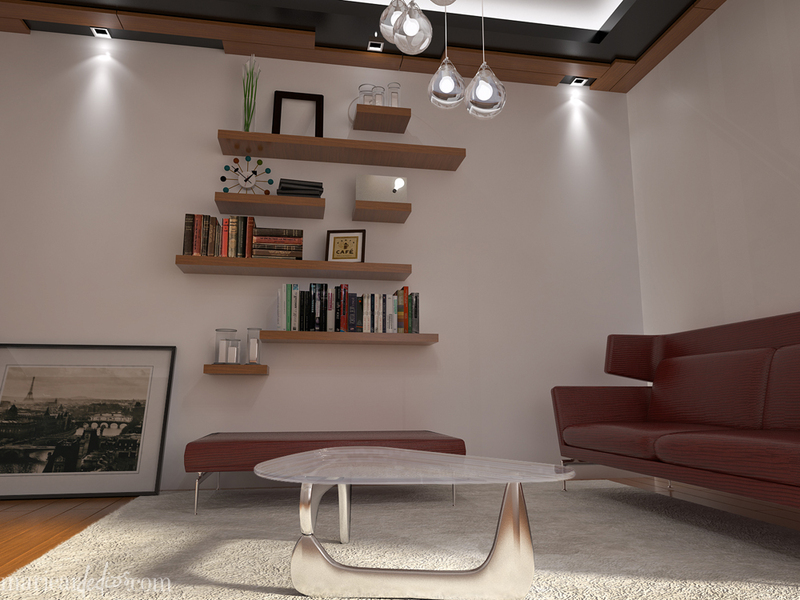 Just to practice my Vray, I created this scene and mixed up furniture and decors in a way I would like to have my own space designed. I modeled the wood planks per piece (it was not as tedious as you think, it’s easy to copy and paste!) and got most of my furniture from Vitra. Other models were downloaded from 3d Warehouse. The cones in the scene actually represent IES lights. IES files can be downloaded from the net, too. 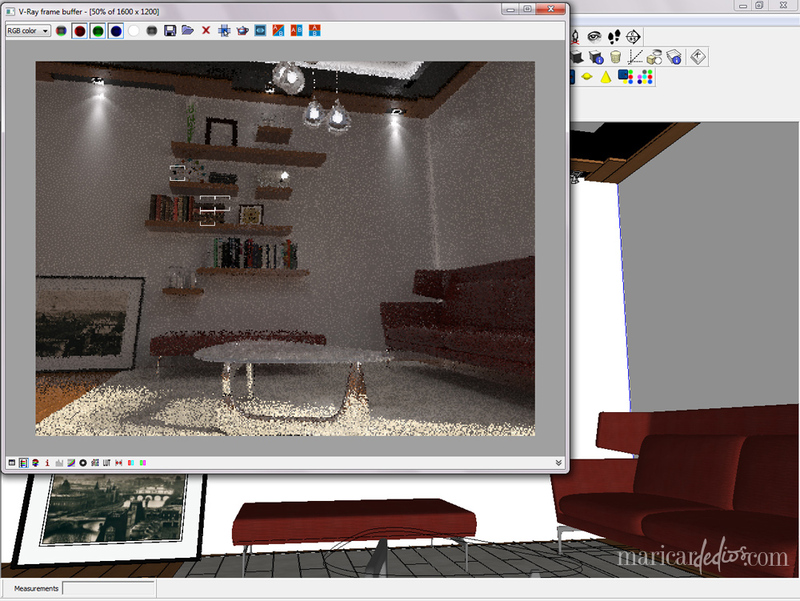 IN- BETWEEN: Vray Settings Photo above shows the compilation of the major materials I used. Notice that almost everything has reflection on it. Reflection Layer helps A LOT – but the question lies on how reflective and glossy the material would be. It’s best to observe how these materials look like in real life. The topmost left material was used as glass and was created with a Refraction Layer. The bottom most right material has an Emissive Layer hence the glow. It was used in my lights partnered with IES files. 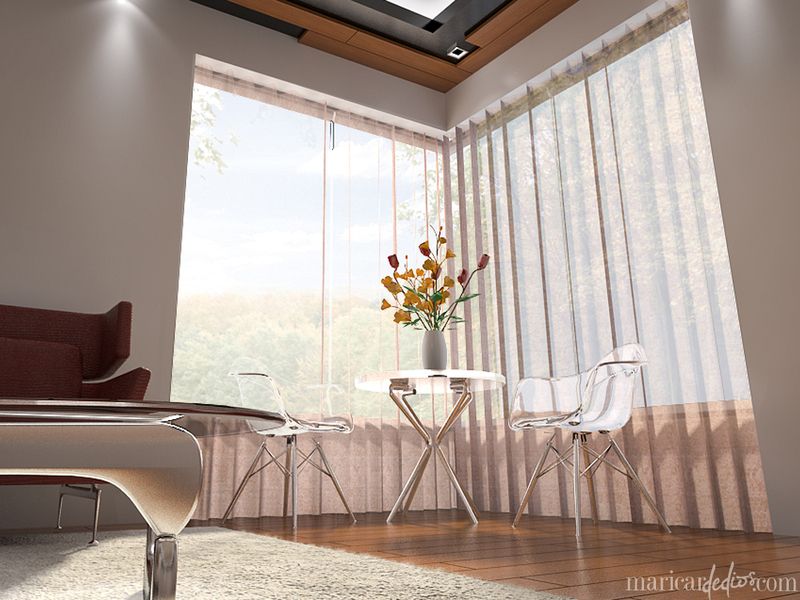 The smaller window shows how Vray renders the scene. This is the longest part of the process. An i5 computer rendered my 2048 x 1536 scene for about half a day. 😦 Reflections take long to render, as well as lights. Also, the more detailed the model, the longer. 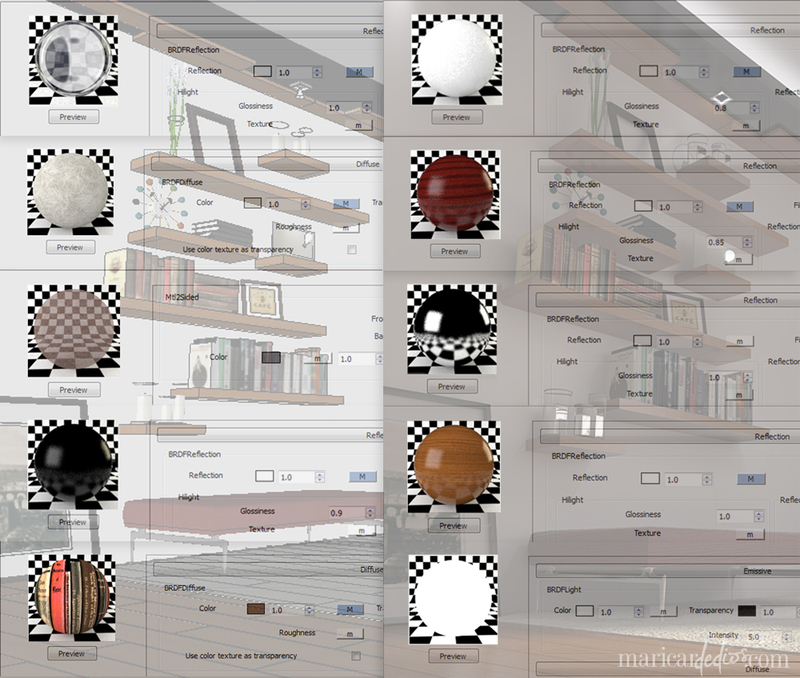 That’s probably one of the downsides of Vray – and I can only imagine Vray for 3ds Max! 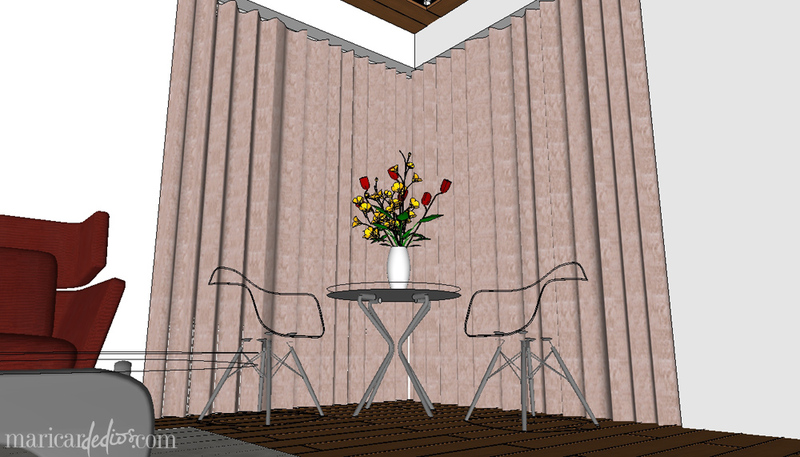 I was going for sheer curtains in here, forgive me if they did not turn out so nice and realistic. I am also always a fail in carpets, too. Areas for improvement, noted! This entry was posted on September 22, 2012 by Maricar de Dios. 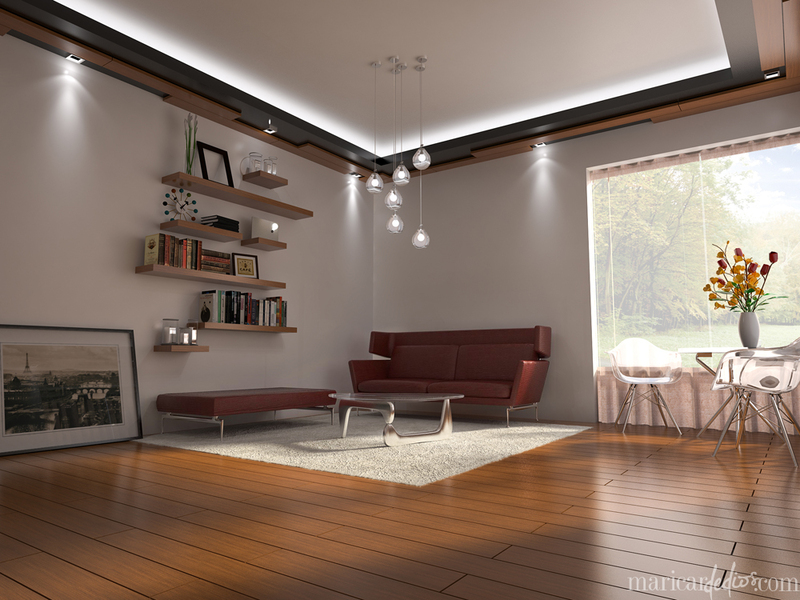 It was filed under Architecture and was tagged with Adobe Photoshop, Google 3D Warehouse, Google SketchUp, interior design, Vitra, Vray, Vray for Sketchup.